JERSEY CITY, N.J., April 11, 2017 – TrialScope, the global leader in clinical trial transparency and compliance solutions, today announced the launch of ATLAS Global Compliance, a Software-as-a-Service (SaaS) solution that ensures clinical trial sponsors are tracking and managing global clinical trial disclosure compliance appropriately. ATLAS is designed to support sponsors of all sizes, providing critical compliance and disclosure oversight through an easy-to-implement SaaS solution. For sponsors who are managing multiple sites in multiple geographies, ATLAS ensures all compliance and disclosure requirements are met, eliminating potential costs and delays in the trial. 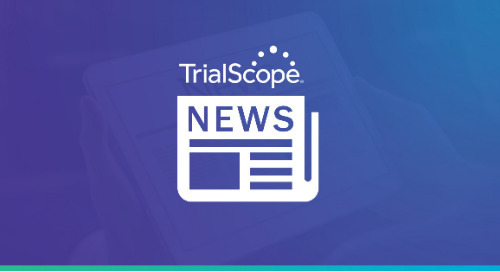 Clinical trial sponsors seeking more information about TrialScope’s ATLAS Global Compliance can register for a complimentary webinar on April 26, 2017. TrialScope simplifies the complexities of clinical trial transparency. TrialScope’s award-winning, proven solutions have been implemented successfully and rigorously tested in the most complex environments and are managing disclosures for roughly 35% of industry sponsored clinical trials. The company’s market-driven solutions and expertise enable sponsors to improve performance, mitigate compliance risk, and ultimately optimize efficiencies with clinical content lifecycle management tools, expertise and processes. TrialScope technologies are offered via a validation-ready SaaS platform hosted in a private cloud. The post TrialScope Launches ATLAS Global Compliance to Ensure Clinical Trial Disclosure Performance appeared first on TrialScope.